ST. GEORGE – A large crowd turned out Tuesday to learn about a proposed county animal shelter to be built near Purgatory Correctional Facility. 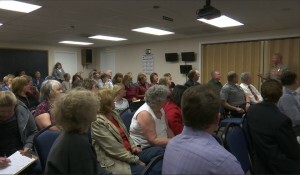 The open house was held by Washington County officials, who are seeking help, advice and feedback on the project. 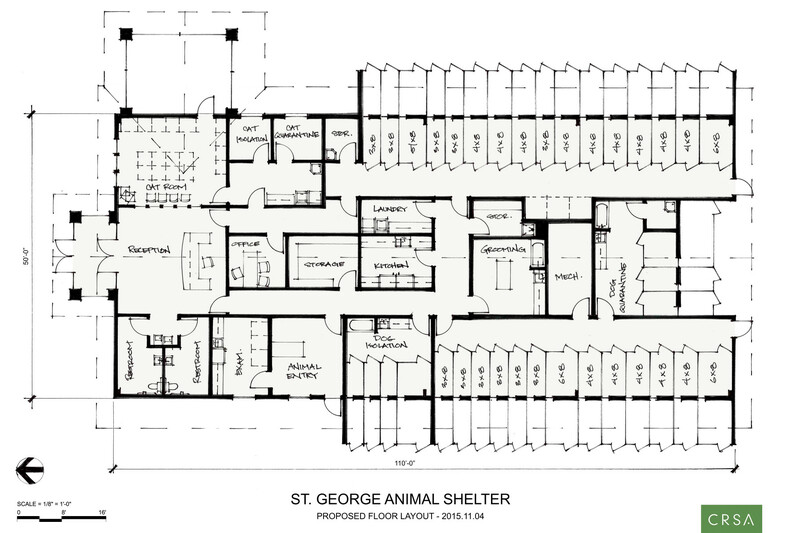 Volunteers are being sought to help design and build the shelter, raise funds and operate the facility once it is completed. “The county does have an obligation for unincorporated areas to provide an animal shelter,” Washington County Commissioner Victor Iverson said. Studies show that if a person learns to how give compassion and care to an animal, they can learn to treat humans with respect as well, Iverson said. “We’re trying something a little different here and it’s a little bit of a grand vision and we need your help,” Commissioner Zachary Renstrom said. The county could just build a small shelter for the minimal needs of the unincorporated areas of the county – outside municipal boundaries – but they want to do something bigger that will benefit the whole county, Renstrom said. The animal shelter could be another tool to help inmates deal with emotional issues, Renstrom said. Typically, municipal shelters only hold animals for five days before putting them up for adoption, and many animals are returned due to behavioral issues. Under the new plan, animals could spend longer periods of time at the county shelter getting basic obedience training or recovering from medical issues. Sheriff Cory Pulsipher has been an advocate of the project for years. In the long run he would like to see programs in which inmates train service dogs. “To me it’s a win-win. 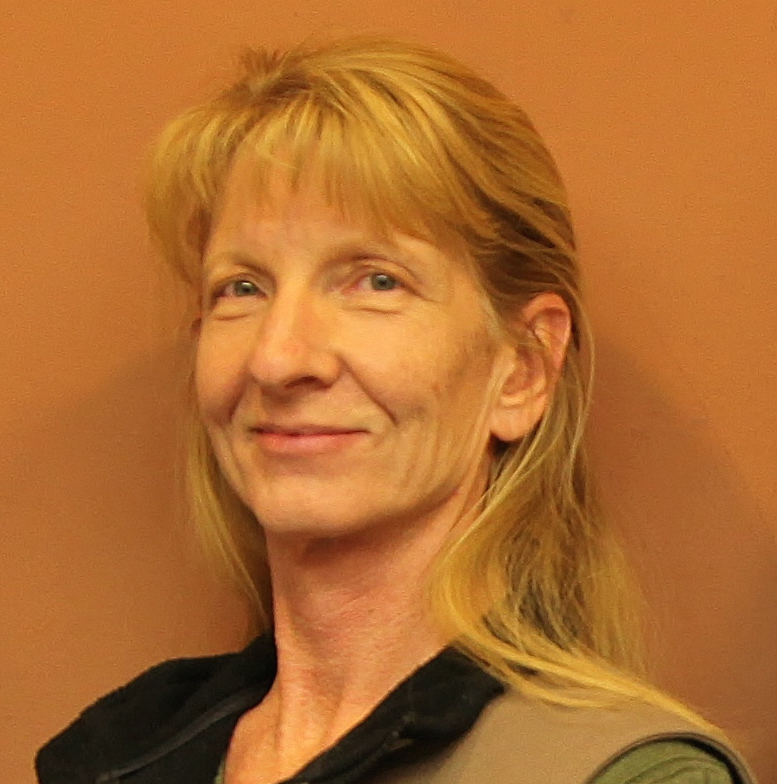 It helps our community, it helps the animals, it helps our inmates, it gives them something else to focus on besides themselves,” Pulsipher said. Undersheriff Bart Bailey pointed out that using inmates for construction and maintenance of the new shelter is not “slave labor.” Work release programs are very popular among inmates and past construction projects have been successful at giving inmates valuable work experience. The problem, Renstrom said, is that building a large shelter that would allow inmate participation will be expensive. 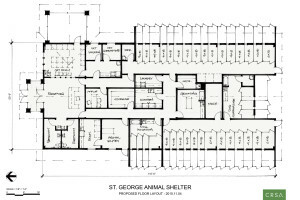 The original cost of the shelter was estimated at nearly $2 million. However, Renstrom said that with promised help from the community and the use of inmate labor the cost is likely to be closer to $900,000. The county has $200,000 to contribute to the project, leaving a $700,000 gap that needs to be filled. Renstrom has met with many of the municipalities in the county asking for help with the project, however, none of them have made a firm commitment yet. The design presented at the meeting is just an initial plan and will be modified with feedback and expertise from the community, Renstrom said. The building could be scaled back or built in phases, depending on how much money can be raised. 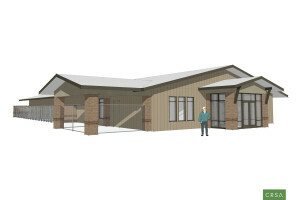 The next step in the process is forming an advisory committee made up of volunteers with expertise and a desire to help with the project, Renstrom said. I don’t like the idea of inmates learning compassion with innocent animals. No doubt an inmate will have a bad day and harm one of these animals who most likely have already been through a lot. For the inmates that are kind to animals it seems more like they are being rewarded by being allowed to spend time with these animals. I would prefer if the inmates sticked to helping the community by picking up garbage and doing other labor type things that don’t involve living creatures. Please do not allow inmates to practice compassion on shelter animals.